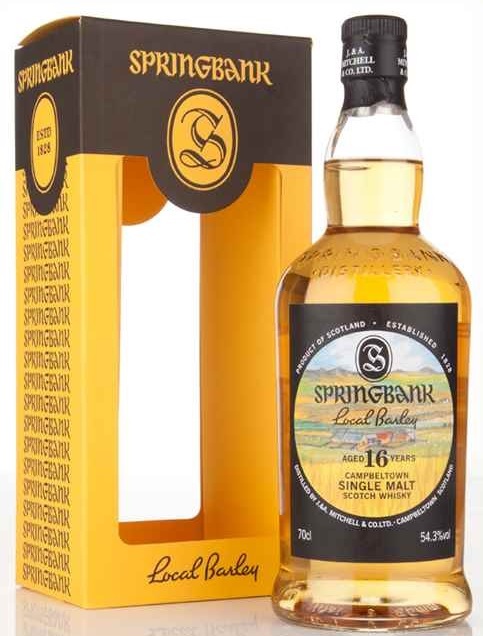 Springbank has had so many variations in its core range, I find it extremely difficult remembering which were the earlier labels and what their production years were. For instance this current ‘modern’ bottle shape – not quite first-local-barley dumpy, but far from the ordinary medium width short neck bottles most small independent bottlers use, with a protruding lip on the base and really somewhat awkward on the eye – first appeared about 2000/2001. And in a few short years there have already been a number of 15s in this shape alone. First the cream red lined label, then the black green lined label, then the current neon green old style S black label, now already several years old. Nose: Less wham-bam (if you know the old 10 year old 100 proof from this range), and much more of a subtle whisky. Brittle toffee, salt air, empty diesel cans on the pier, one slice of the greenest apple you can find – but just 1 slice. Limestone cement and granite in a crusher. As if to balance all that, lots of wet wood and bourbon creaminess. Completely unsurprised as this profile sticks in my mind from the old 10 and 12. Palate: Wait. Not a sweet entrance at all despite the nose. In fact rather more phenolic with these petrochemical and mineral notes. Plus a healthy dose of burning brush, brine, dry bitter herbals like quinine plus dried lime zest, in fact remains very dry and quite acrid. Some wood too but rather puckering and somewhat ascetic. Actually swings too far in that direction I think. Finish: Salty martime. Sour apples. Though somewhat short and passing on quickly. Touch of farminess. I can see why this range was not regarded as well as the range before and after but I would not say it’s bad at all, if anything, just a very specific and less giving style? However not quite a new label. It should look familiar to some – 1965 Local Barley. Nose: Immediate regret for choosing so poor a comparison prior. It’s big and very bold. 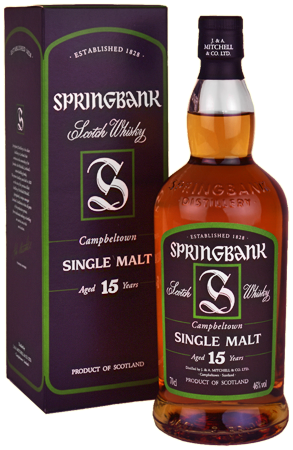 Very uncompromising, if you don’t like Springbank this is not for you. But if you love thick diesel, the whole sourest green apple, the whole chinchona tree and eno salts to boost, and then half a clean barnyard (with haystacks), and half a rusty tractor – because it is really on the farmy side – you will love this; And if you could somehow gelatinize all that into an oily thick wall of scent, and maybe soothe it in with some vanilla creme and some sweet wood, you would have this Springbank. Palate: Exactly as promised by the nose, except a bigger enveloping array of these bitter herbals, mineral oil in rusty cans, something farmy and dirty in here as well. Hmm but somehow turning sweeter, oilier, thicker with light phenolics that’s maybe light earthy peat maybe? Big complexity. Big flavours. Very very good. Finish: Long, bitter, sour, wintergreen, still sharp still a bit earthy. Already so so very excellent, but can we have this at say 25 years old please? It will be legendary. 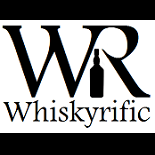 This entry was posted on March 22, 2016 by Whiskyrific in Springbank and tagged Springbank.